Jacqueline, Ted and I worked together previously when I renovated their bathroom in 2011. Repeat clients mean a lot to us, thanks guys. 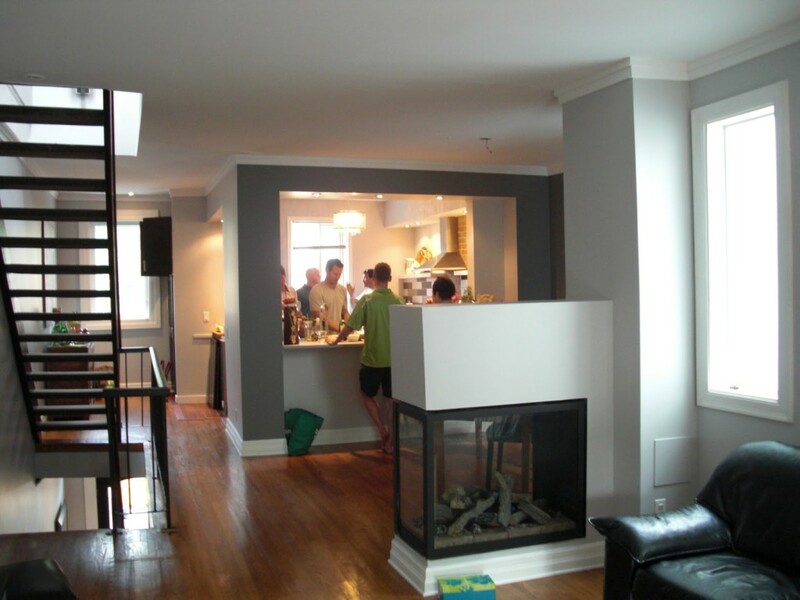 Re-working a wall to house a 3-sided fireplace between the dining room and living room. 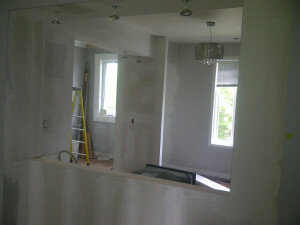 Building a feature wall in the master bedroom to create a dressing area. 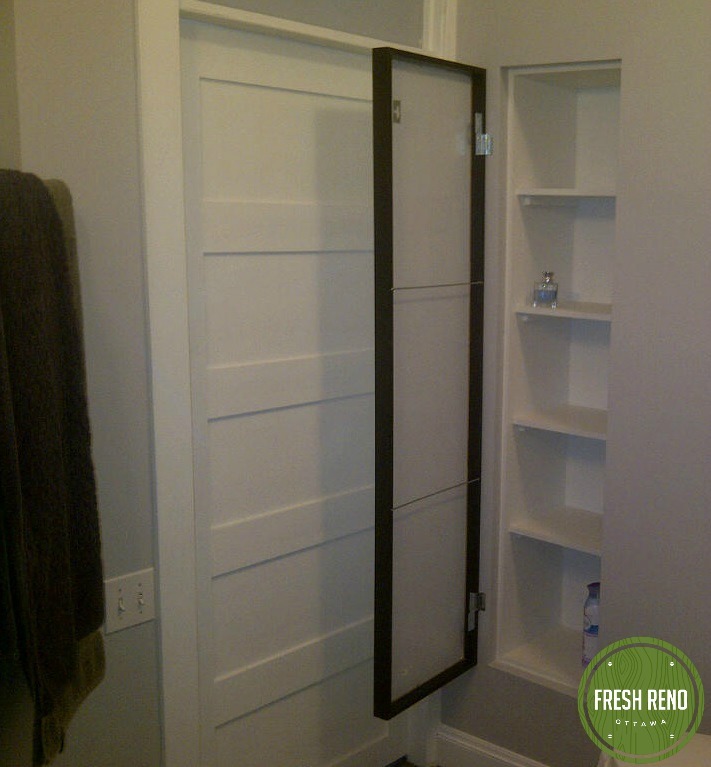 Turning a hallway closet into a bathroom storage area. 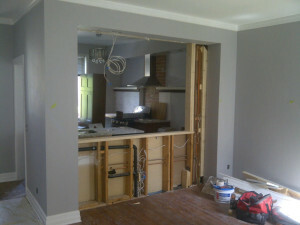 before: kitchen and tiny opening into dining room. Day 1: Removed drywall to prepare for the 3-sided fireplace. Discovered an electrical nightmare and called in Steve, our electrician. 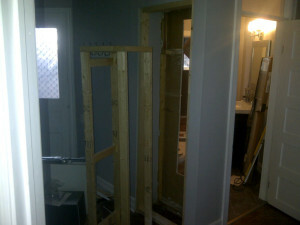 Day 1: Simple hallway open closet becoming custom bathroom storage. Day 5: We put up a new half-wall partition to create a dressing area for Jacqueline. Day 5: The wall formerly know as ‘electrical nightmare’ is now on its way to being a 3-sided fireplace. a huge 7′ x 5′ opening. 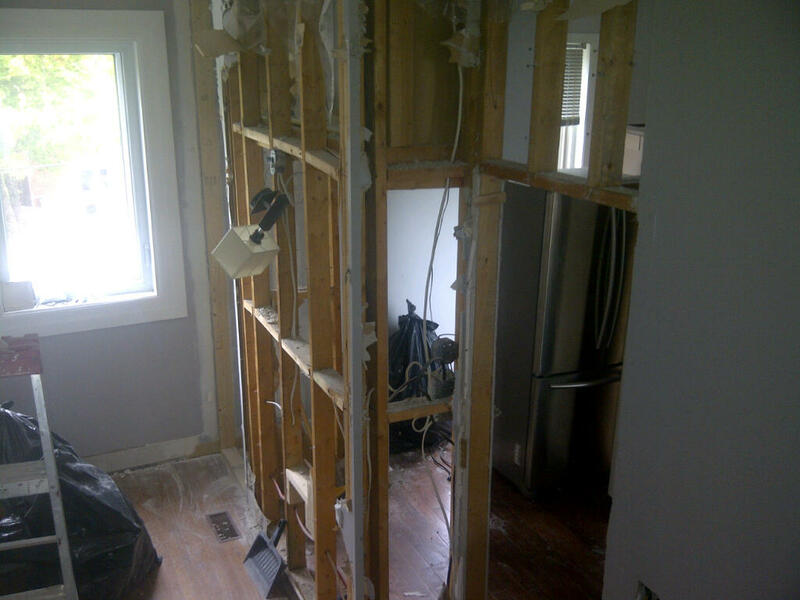 Day 8: Jacqueline and Ted are evolving the kitchen plan in a huge way… We are now blowing out the entire left-side wall. It’s going to look great and create the open feeling they want. After-work belly rubs with my rescue dog, Yoda. 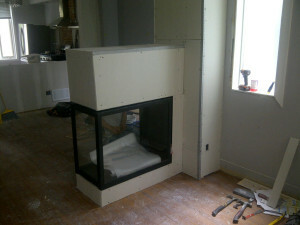 Day 12: three-sided gas fireplace is installed in the wall formerly known as ‘electrical nightmare’. Day 13: Looking into the kitchen through the opening we made larger. 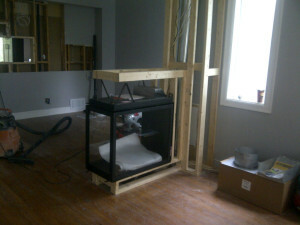 Electrical and drywall done. 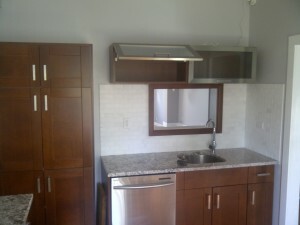 Next week is the kitchen installation. The bathroom is adjacent to a hallway closet, which Ted and Jacqueline didn’t need. 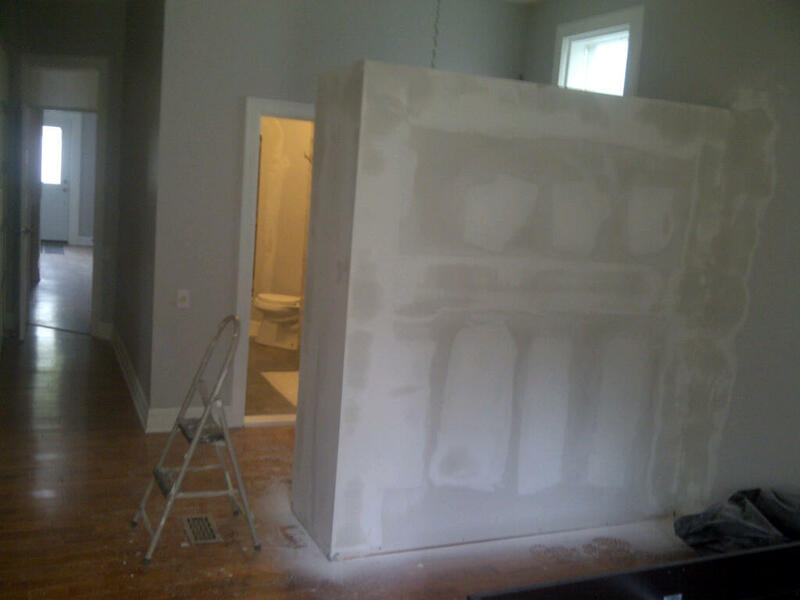 So, we closed-off the hall way closet, then used the space to create a custom bathroom closet. 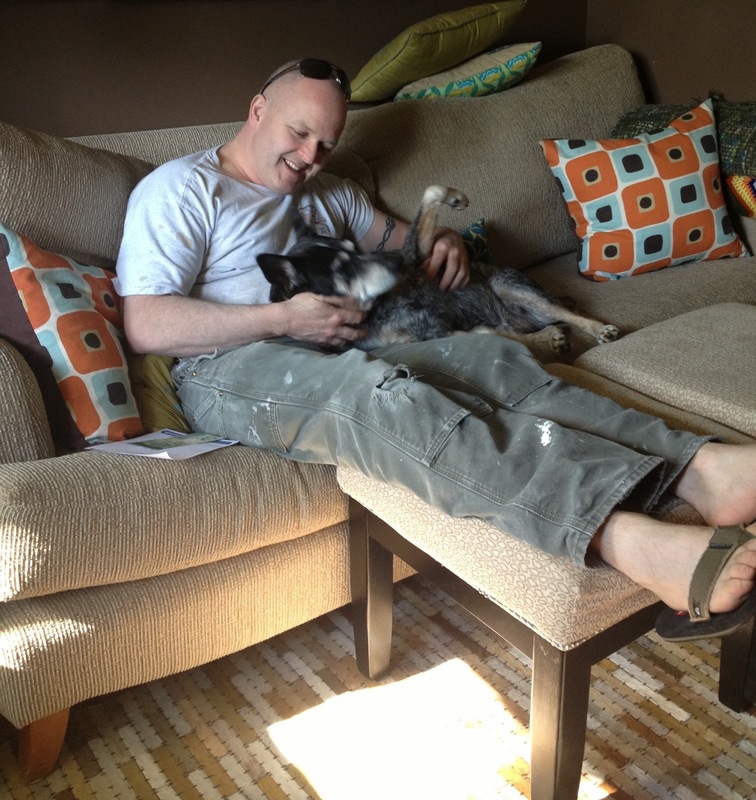 UPDATE June 23. 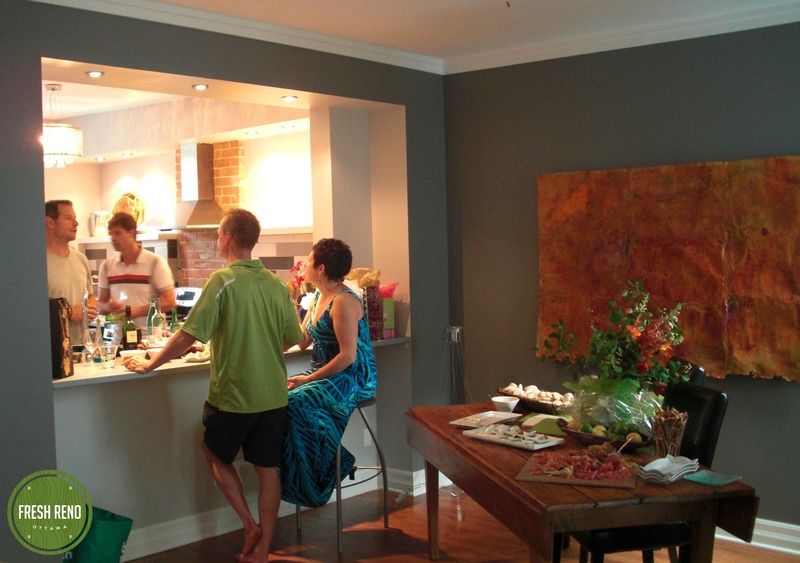 We had the pleasure of attending Ted and Jacqueline’s housewarming today. Here are some ‘after’ pictures of the renovation. At Jacqueline and Ted’s housewarming. 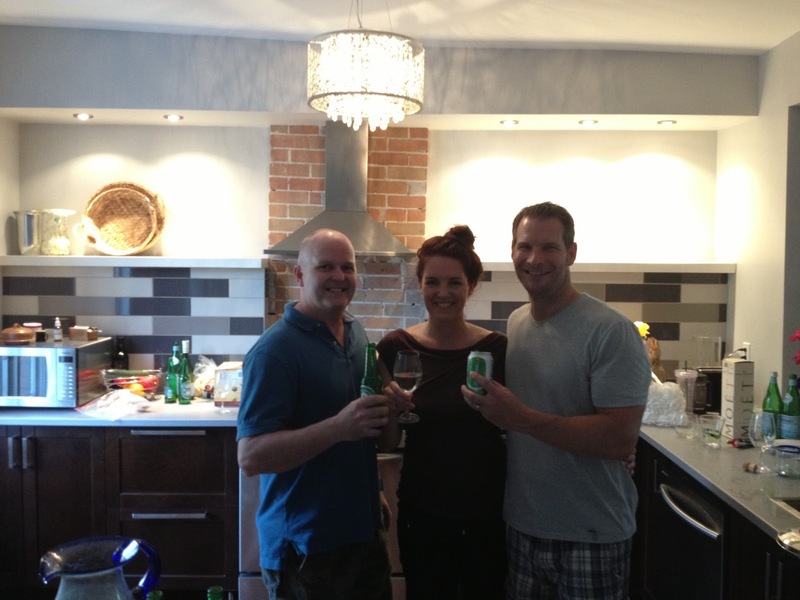 At Jacqueline and Ted’s housewarming, toasting the new kitchen. Check out the angle of the bulkhead behind us. 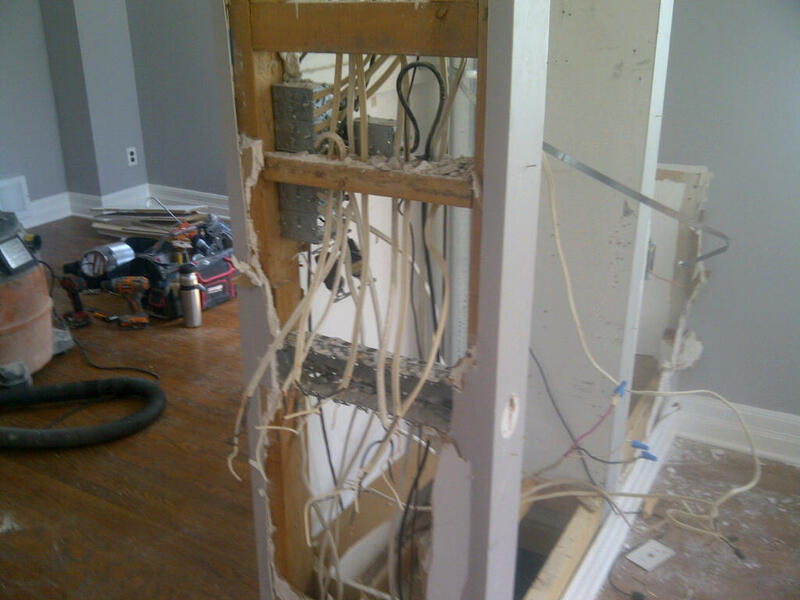 Oh the joys of older homes.